The Barry claim to fame was the far reaching use of aluminum as a shell material. 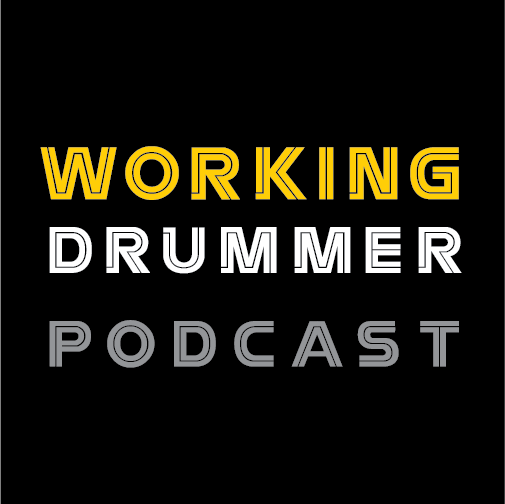 As drum production geared up after World War I ended, most the manufacturers used maple, walnut or mahogany for drum shells. Barry offered wood, but they showcased aluminum, using a manufacturing process for it that had been invented in the 1880s. The inventor misspelled aluminium, and while Americans continue to say aluminum, and leave out that last letter “i“, everybody else in the world, uses the British pronunciation..Since the 60s, we have had aluminum as an available snare drum shell, but, founded in 1919, Barry made snare drums, marching drums and bass drums from aluminum, and their trademark product was the Collapsible Bass Drum. More on that in a minute. Barry aluminum shells normally had black or white lacquers or a satin finished clear coat, but I have also seen purple, and it looked original.. Parts were nickel plated—or gold plated. Their shell was described as die cast in one piece and the snare drums had twelve rods with air vents between each one, except for the panel with the strainer. The hoops were straight, not flange and collar hooks were used. 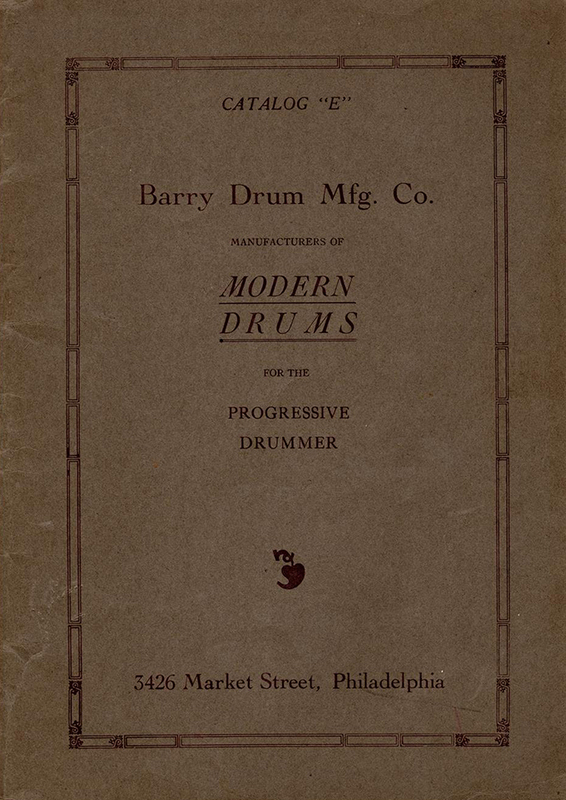 The Barry catalog features pedals and accessories by Barry, Leedy and Ludwig, but all the drums were from Barry. There is no mention of a solid wood shell, and, specifically, there is mention of laminated wood shells. The strainer was a unique looking piece that we picture—a round middle section and a downward locking throw arm—very compact and without vulnerable linkages and rivets. Ah, but they had what traveling drummers needed. If you were playing in the mid 1920s, you would not have had an automobile. You were destined to ride a street car or trolley and you might have had to stand. 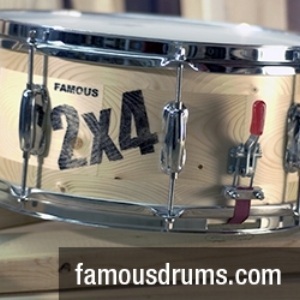 Barry saw a niche.They created the “Collapsible Bass Drum” in three diameters. In those days,most drummers played 28 or 30 inch monsters, and, carrying them around in mackintosh bags, did little to protect the valuable cargo, already difficult to manoeuver. William A. Barry invented a 12 1/2 pound bass drum that could be taken apart and folded into a neat small elliptical shaped case. Even the drum heads were foldable and the hoops were hinged. A player could use two cases and carry his bass, snare, cymbal, stand, pedal traps and holders, and still get on the trolley without problems. 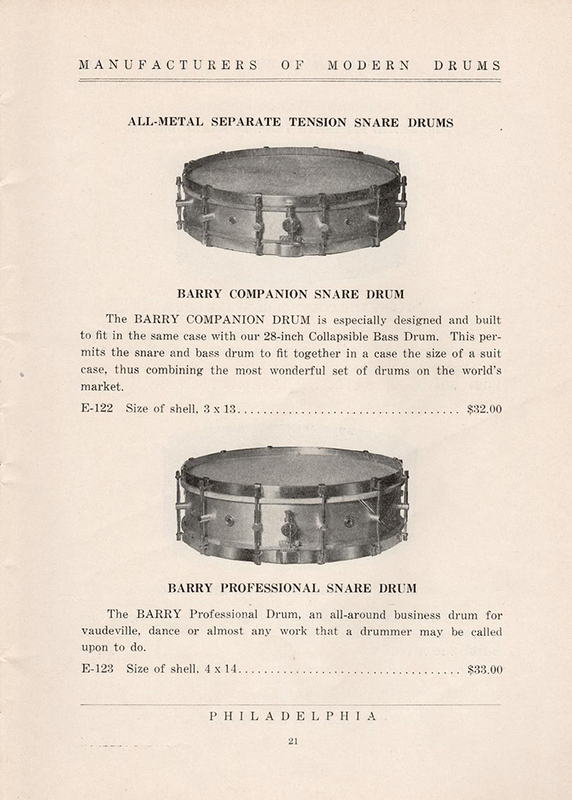 I think we see more Barry snare drum survivors than the Collapsible Bass Drums, although they must have influenced Leedy and Walberg in the 20s to create carry all wooden bass drums that turned the instrument into a case by being hinged in the middle. The doom factor for the Barry bass drums was getting replacement heads easily. The Catalog E. endorsers were East Coasters and two of them show up later with bigger companies. 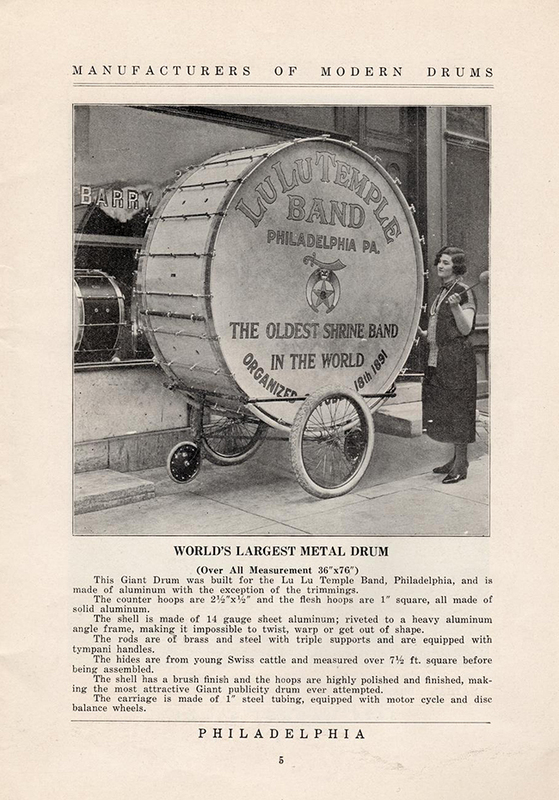 Jess Altmiller of the Fox Theater in Philly gets prominently featured with Slingerland and Benjamin Podemski, of the Philadelphia Symphony, became a Leedy endorser. 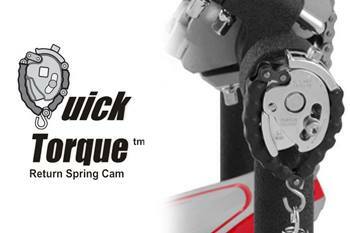 The snare drums have a crisp sound and they do turn up with some frequency. I have heard that Barry Manufacturing survived to the late 1930s, so there were 20 years of production, but I have not seen a catalog later than E, nor have I ever seen Barry tom toms. I wouldn’t be surprised if we found that Barry had a retail outlet in Philadelphia, since there is a picture of a plate glass window with their name in large letters. I can see two drums in the window, but the rest is blocked by a shot of the world’s largest metal drum, made for a local Shrine band. This possible retail side may have been what helped them to survive after the Collapsible Bass had seen it’s day.